Book of essays now available for free download. The United Church of Christ is a denomination which reflects the pluralistic story of American Protestantism. Created in 1957, the UCC has brought together ecclesiastical bodies rooted in English Puritanism, American frontier revivalism, and German religious history. 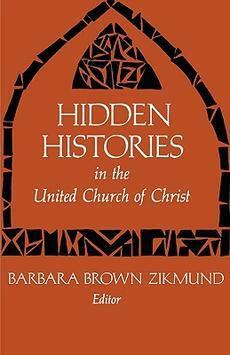 In this book, the contributors attempt to move beyond the four main streams of the UCC - the UCC "historical orthodoxy." This collection of essays expands knowledge about the diversity of the UCC, and connects the UCC with many significant developments in American religious and ethnic history. It explores such areas as Native American Protestantism, black Christian churches, a schism in the German Reformed Church, Armenian congregationalism's missionary beginnings, German congregationalism, blacks and the American Missionary Association, Deaconess ministries, the Schwenkfelders, the Calvin Synod (Hungarian), women's work and women's boards, and Japanese-American congregationalists. To read the full article and download the book or any individual chapters, click here. The book is also available for purchase from the United Church Press, along with other books on UCC history and identity.